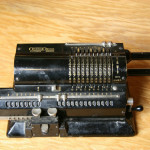 The designer of Odhner calculator was Willgodt Theophil Odhner (1845-1905) from Sweden. 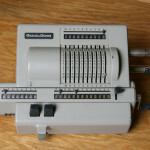 He studied at the Royal Institute of Technology in Stockholm, but he never graduated. 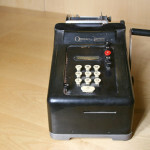 At the age of 23 he moved to St.Petersburg. 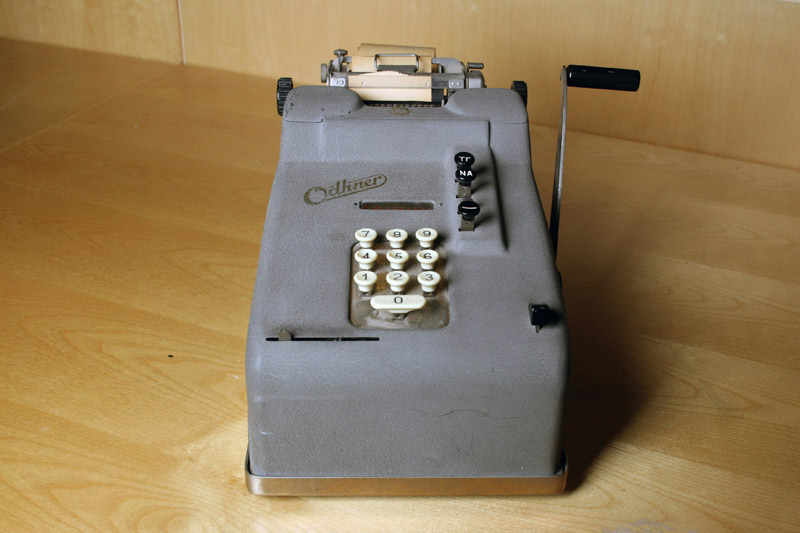 There he worked at the Ludwig Nobel’s mechanical factory. 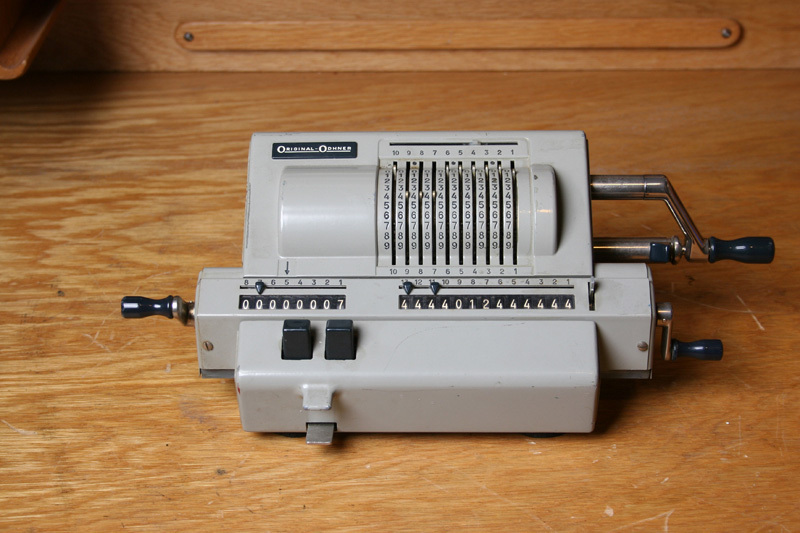 He began the construction of his Odhner Arithometer probably in 1874. 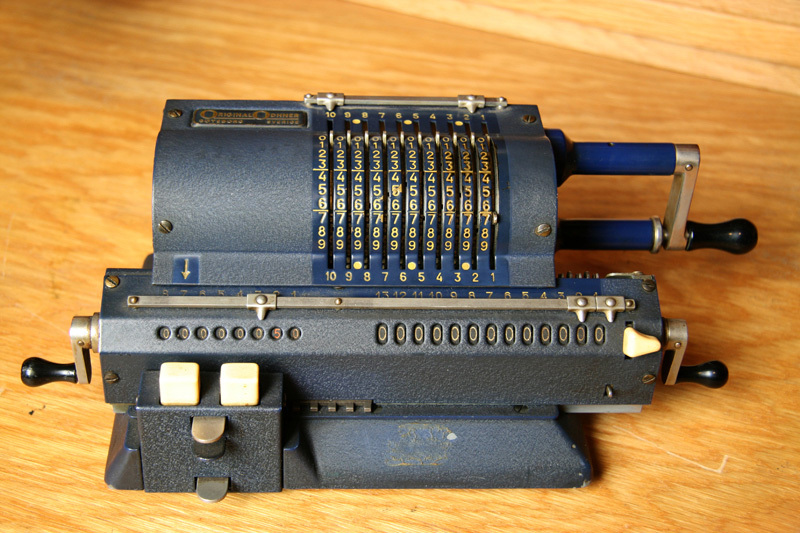 He made 14 machines which were finished in 1877. 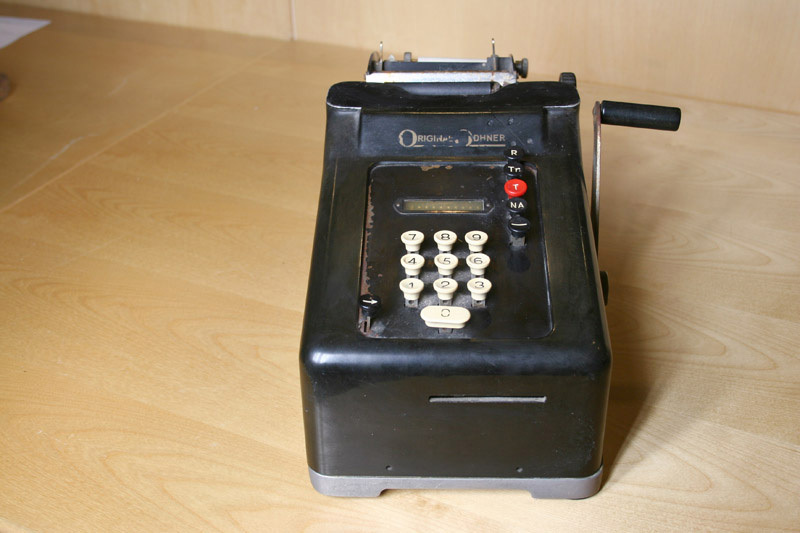 The USA patent was granted on October 29th 1878. 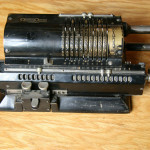 Production started in 1890. 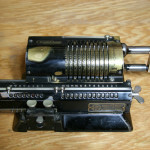 After his death in 1905 his two sons and sonin-law continued production until the Russian revolution in 1918. 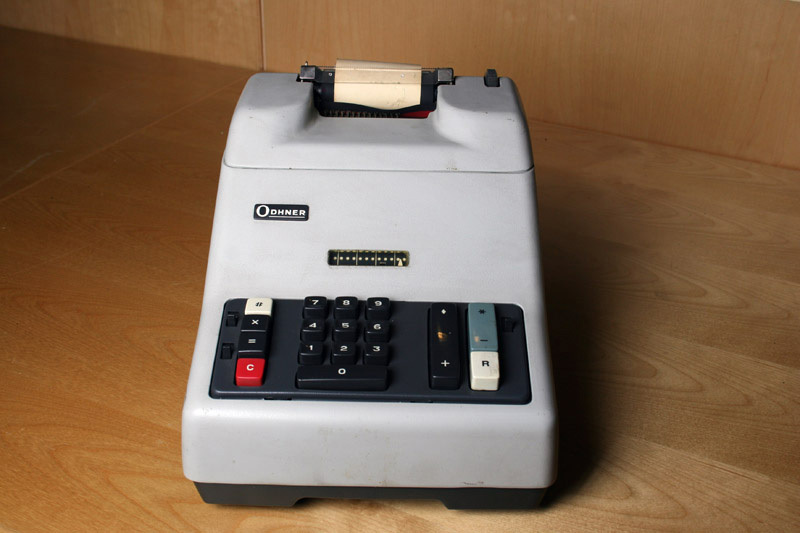 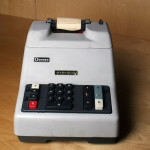 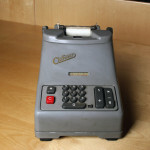 About 23 000 calculators were produced in St. Petersburg. 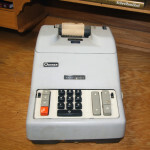 After the revolution production was moved to Göteborg in Sweden. 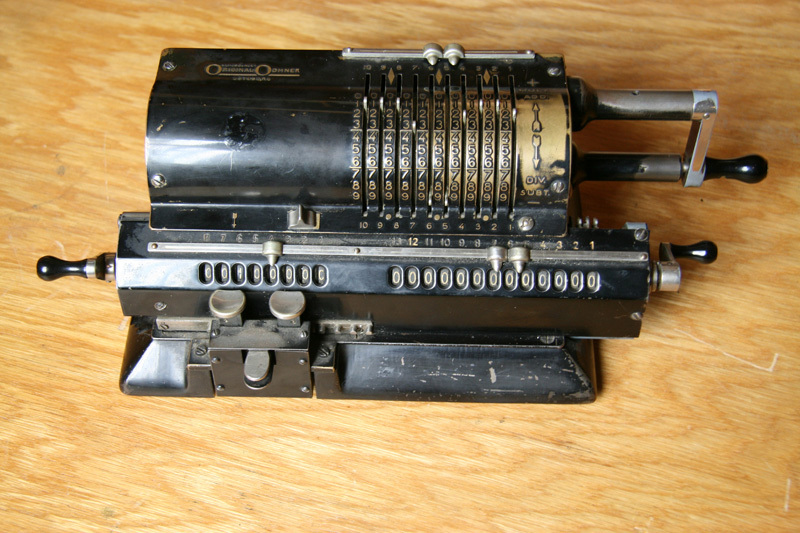 He sold his patent in 1892 to the German company Grimme, Natalis & Co (see Brunsviga). 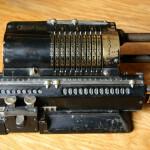 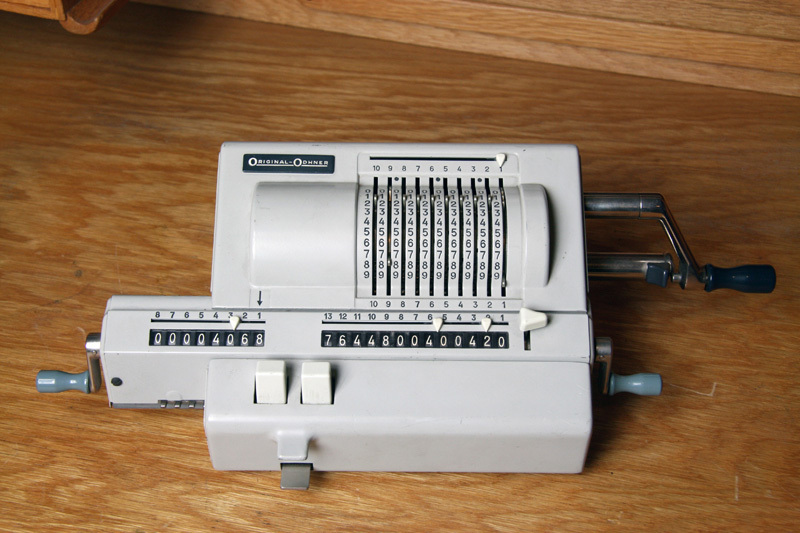 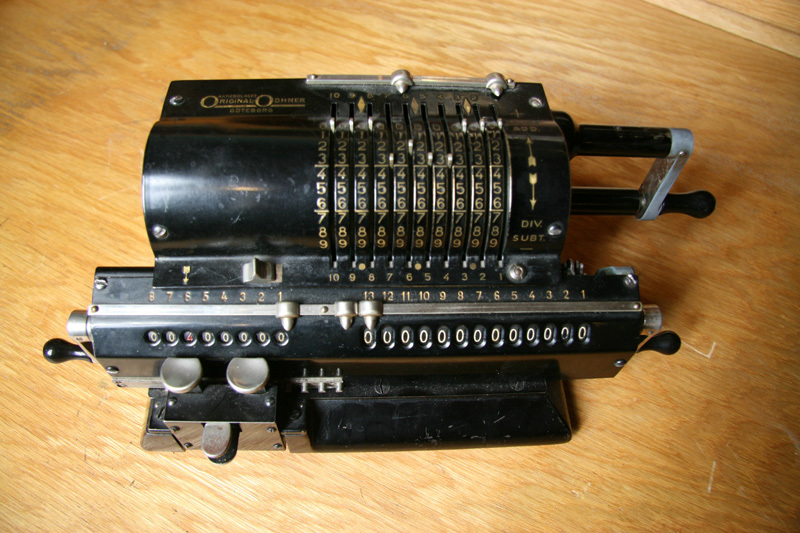 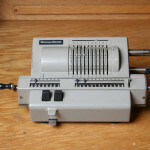 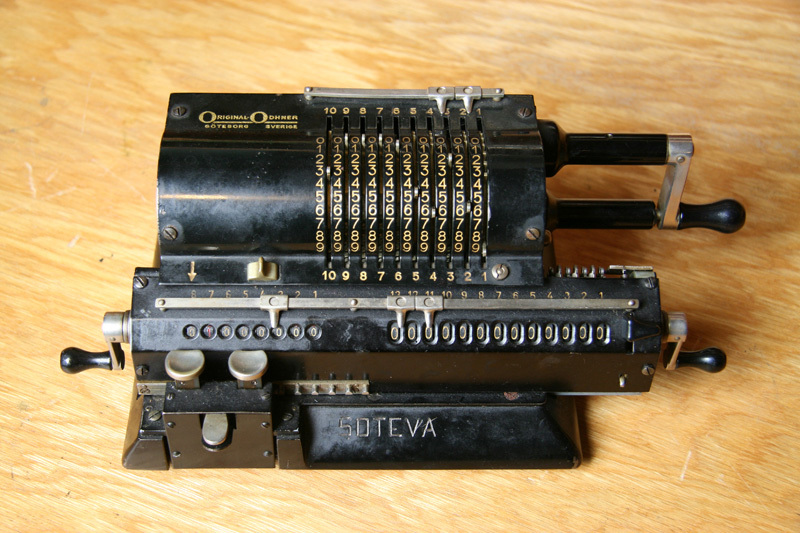 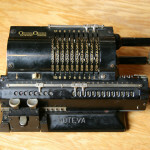 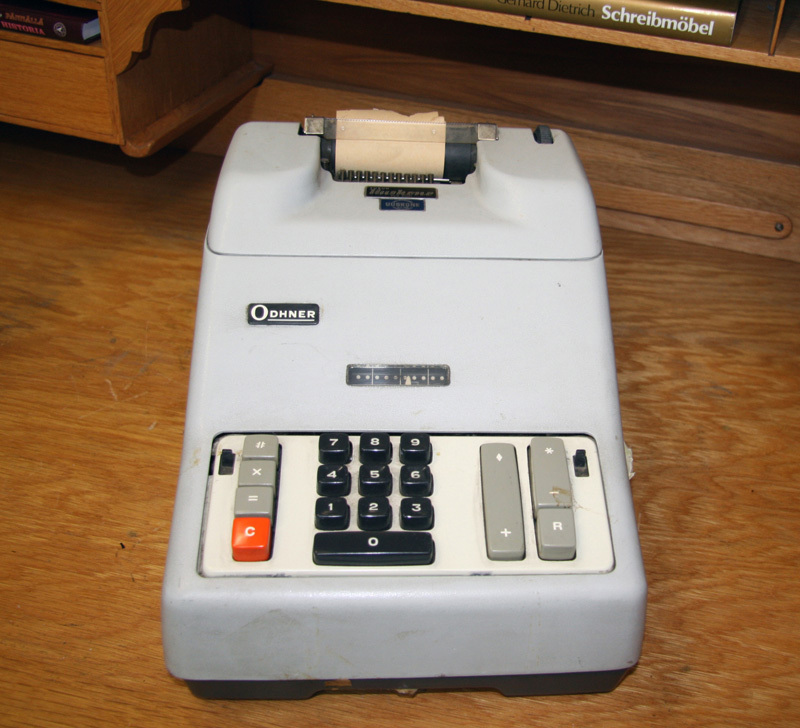 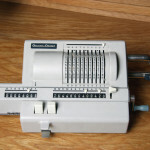 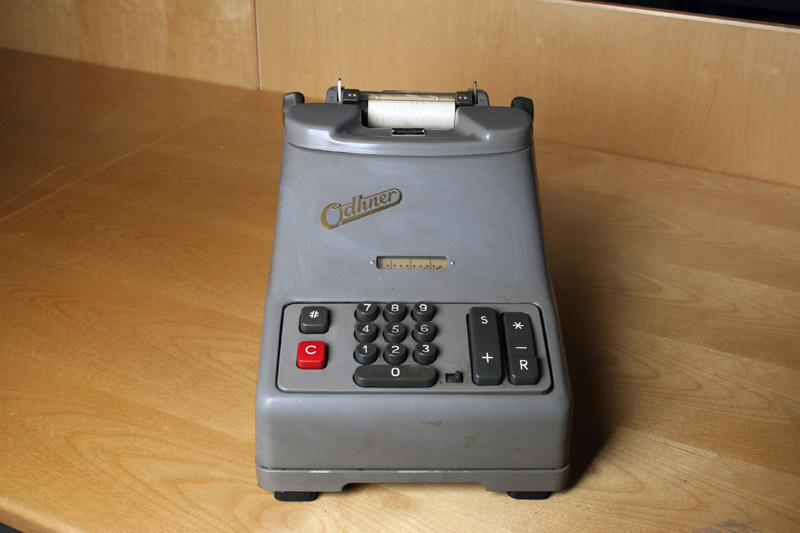 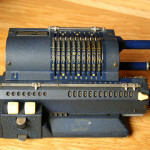 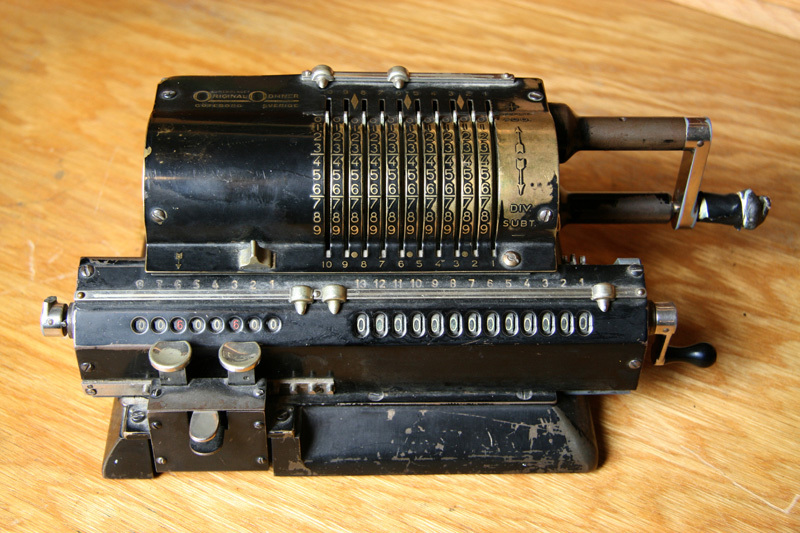 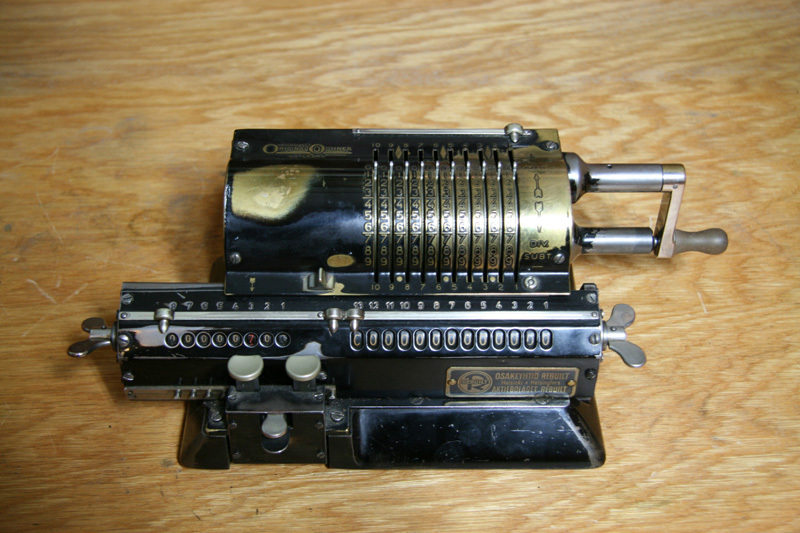 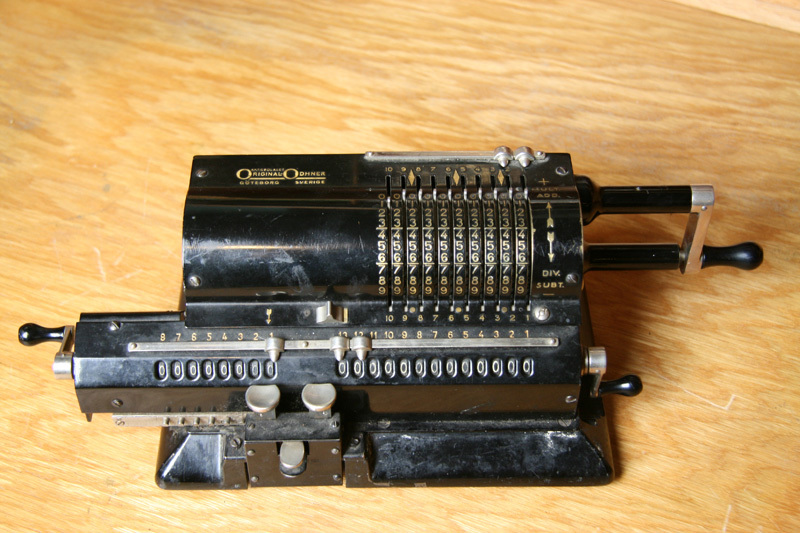 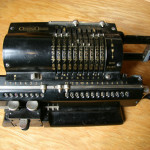 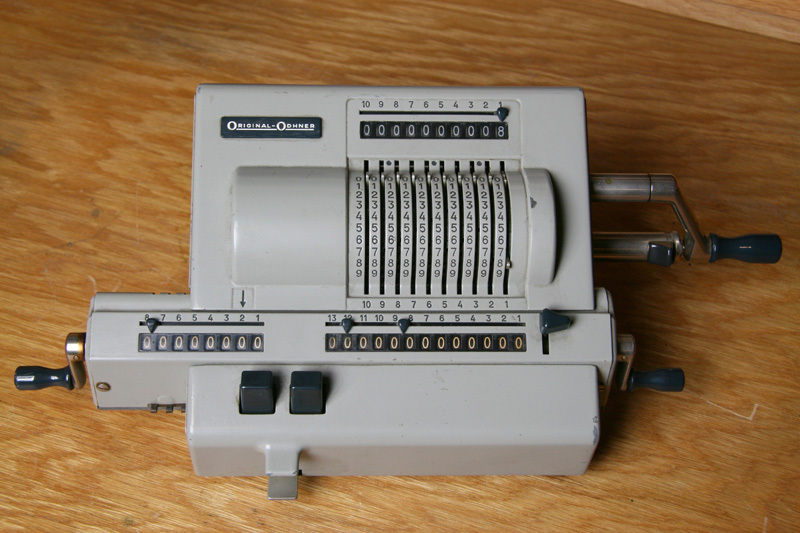 For nearly 100 years many companies produced pinwheel calculators based on the Odhner design. 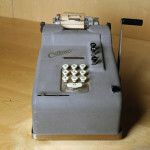 In 1942 the Odhner company became an integrated part of Åtvidabergs Industrier AB (see Facit typewriter).